Listen in as review the films The Fate of the Furious, The Promise, Finding Oscar, Tommy’s Honor and The Lost City of Z. 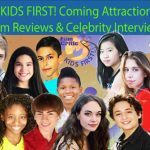 Hosts Gerry Orz and Keefer Blakeslee are joined by KIDS FIRST! Film Critics Arjun, Na’im, Morgan, Tristan, Ella, and Lara. Before you spend your hard earned dollars at the movies, be sure to listen to what our youth reporters have to say. Listen in as we review the films Gifted, Floogals, Going in Style and Smurfs: The Lost Village. Hosts Gerry O. and Mia A. are joined by KIDS FIRST! Reporters Imani, Lizeth, Samantha, and Carla. Listen in as we review the films The Smurfs, The Promise, Floogals, The Power Rangers, Mack & Moxy, and talk about the Atlanta Film Festival. 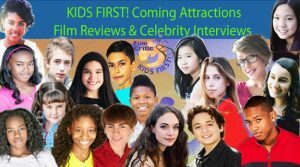 Hosts Morgan B and Keefer B are joined by KIDS FIRST! Reporters Benjamin, Jolleen, Samantha, Lara, and Kamhai. Before you spend your hard earned dollars at the movies, listen to what our youth reporters have to say. Listen in as we review the films Power Rangers, The Boss Baby, The Zookeeper’s Wife and tell you all about the Atlanta Film Festival. Hosts Gerry O and Keefer B are joined by KIDS FIRST! Reporters Arjun, Benjamin, Calista, Lucia, and Kamhai. Before you spend your hard earned dollars at the movies, listen to what our youth reporters have to say. You are currently browsing the KIDS FIRST! Radio weblog archives for April, 2017.